We are currently investigating the zooplankton population in Tampa Bay and the Hillsborough River. 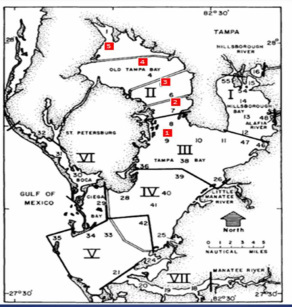 Monthly sampling occurs along a transect at five stations within Old Tampa Bay. Additionally, sampling occurs from the UT campus of the Hillsborough River. We are assessing zooplankton composition, abundance and distribution throughout the year with the goal of comparing current trends with historic data sets. Zooplankton play an important role within oceanic food webs by linking the energy they derive from the phytoplankton they graze on up to higher trophic levels like fish and jellyfish. 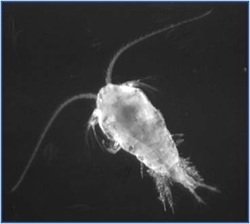 Within zooplankton communities, small crustaceans called copepods are usually the dominant component. 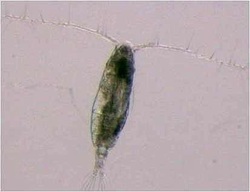 Due to their abundance, copepod grazing plays a role in the regulation of phytoplankton communities. In turn, many oceanic carnivores, including fishes, ctenophores, cnidarians, squids, and whales, prey upon copepods. These factors illustrate the significance of copepods in maintaining the balance of oceanic ecosystems as well as indirectly influencing fisheries. 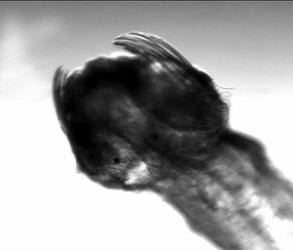 Copepod survival depends upon their ability to detect and escape from predators. As such, copepods have evolved a variety of sensory mechanisms and behavioral tactics in an effort to reduce their predation risk. One such behavioral tactic is their characteristic escape reaction when exposed to appropriate photic, tactile, or hydrodynamic stimuli. 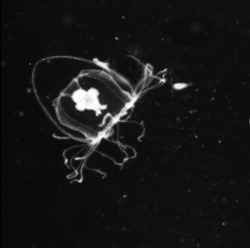 During a typical escape reaction, copepods will respond within milliseconds by retracting antennules towards the prosome, forming a streamlined shape and performing a series of synchronized power strokes with their swimming legs. Copepods are propelled forward several body lengths in distance at velocities that often exceed 100 body lengths/s. Given their body size is usually on the order of millimeters, this means copepods are one of the fastest organisms on the planet. 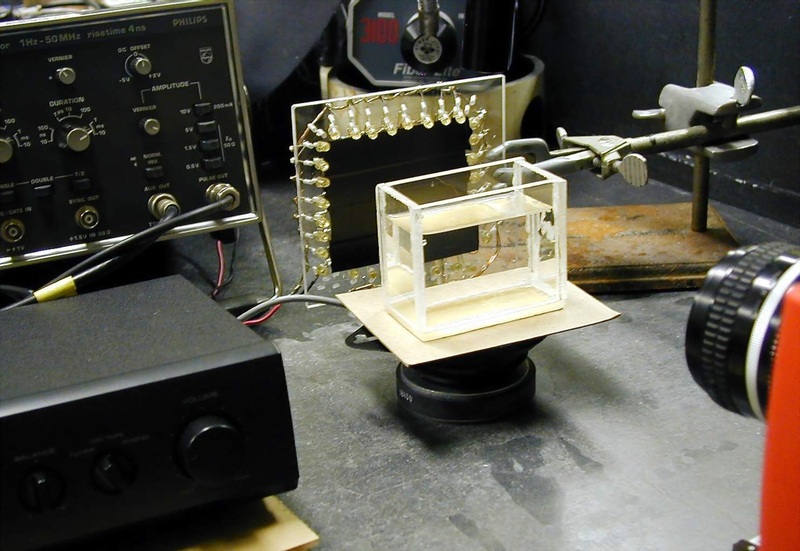 I am interested in examining the escape behavior of copepods in response to natural stimuli (i.e., predators) and repeatable, quantifiable stimuli (i.e., mechanical derived) in an effort to explore and understand the amazing nuances of copepod survival. Hydromedusae Rathkea octopuntata ensaring a copepod. I also investigate feeding mechanisms and predator-prey relationships. I am particularly interested in examining the feeding of cnidarians, ctenophores and chaetognaths.